By now you should already know that the brand-spanking-new Samsung Galaxy S III sports a 4.8-inch HD Super AMOLED display. That's right: no "plus" here, which means this 720p panel is featuring the same old PenTile RBGB pixel arrangement -- just like the 4.65-inch version on the Galaxy Nexus and the Galaxy S II HD LTE. Needless to say, this is again pure ammunition for the folks over at LG; but as we've mentioned before, HD Super AMOLED's superb contrast and higher-than-before pixel density outweigh its shortcomings in most cases. For now though, let's examine these sub-pixels with a 230x zoom USB microscope and compare them with other phones that we have in hand. Starting off with the HTC One X's 720p SLCD 2 above, you can see how its denser sub-pixels produce a finer picture, but ultimately it's still behind HD Super AMOLED when it comes to contrast, especially with black. Read on for more comparisons. 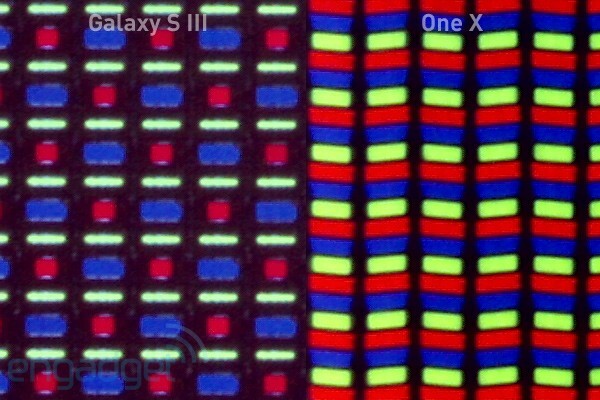 Under the microscope: Samsung Galaxy S III's HD Super AMOLED display originally appeared on Engadget on Thu, 03 May 2012 14:02:00 EDT. Please see our terms for use of feeds. If you don't know where you came from, you won't know where you're going. That's why we're stacking up Samsung's Galaxy S III against the S II and the Galaxy S to see how the range has come on in the three years it's existed. If you fancy a trip down memory lane to the heady days of 2010, then join us after the break. 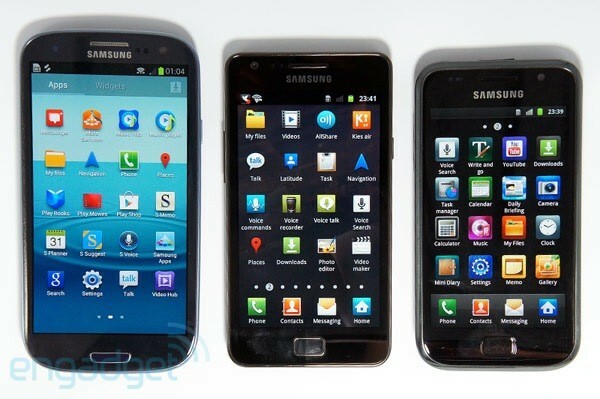 Samsung Galaxy S III vs Galaxy S II and Galaxy S: meet the family originally appeared on Engadget on Thu, 03 May 2012 14:11:00 EDT. Please see our terms for use of feeds. 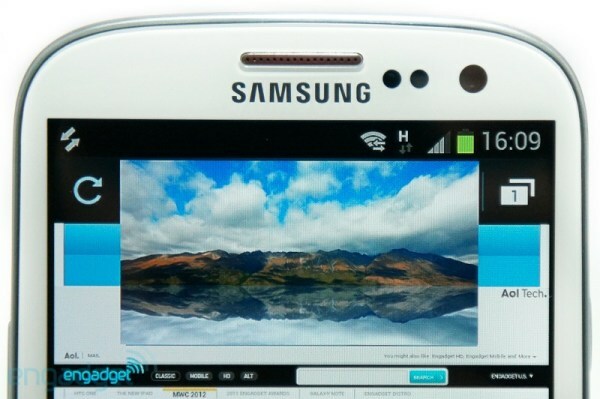 While we wait for the LTE version of the Samsung Galaxy S III to arrive in the US this summer, UK punters will have opportunities to preorder the new flagship device starting right away on these carriers: Vodafone, Orange, O2, T-Mobile and Three. Although details and specific availability vary from carrier to carrier, retailer Carphone Warehouse currently lists a SIM-free preorder price of £499.95. While Orange didn't mention any other details than that it will offer the phone, Vodafone has revealed that beyond the 16GB edition, it has a timed month long exclusive on the 32GB version. On Three, preorders open tomorrow, May 4th, with the all-you-can-eat data One plan for £34 monthly. The phone will launch May 30th in the UK, a day after the May 29th global release date. There's a few UK / Ireland specific press releases included after the break and links below, check those out for all details, preregistration and information on preorder bonuses some are offering. Samsung Galaxy S III launching on Vodafone, Orange, O2, T-Mobile and Three in the UK originally appeared on Engadget on Thu, 03 May 2012 16:25:00 EDT. Please see our terms for use of feeds. Unlike today's other phone announcement, we can't say we were expecting to see LG come out with something of its own -- and it's a bit of a doozy, at that. Samsung's Korean rival decided not to let the Galaxy S III have the full spotlight for long, officially unleashing the Optimus LTE2. The mind-blowing portion of the spec sheet is its inclusion of 2GB RAM, a milestone we haven't yet seen in a smartphone. Additionally, the LTE2 will feature the company's "True HD IPS" display, WPC-backed wireless charging capabilities, Android 4.0 and a 2,150mAh battery that LG claims will increase the battery life by an astounding 40 percent. We haven't received word on which CPU will be used, though we're hopeful that a quad-core beast (or Krait, perhaps?) will complement the astounding amount of RAM. The LTE2 is due to land on at least three carriers in Korea sometime in mid-May, but we haven't heard any pricing or additional country availability at this time. We'll keep you posted as we learn more. In the meantime, check out LG's Flickr page down below for more images, and start thinking of ways to take advantage of the extra horsepower. LG announces Optimus LTE2, coming to Korea mid-May with True HD IPS and 2GB RAM originally appeared on Engadget on Thu, 03 May 2012 19:31:00 EDT. Please see our terms for use of feeds. 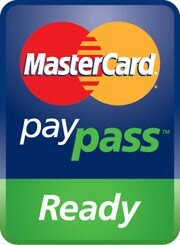 MasterCard gives PayPass blessings to HTC One X, 16 other NFC phones originally appeared on Engadget on Thu, 03 May 2012 22:56:00 EDT. Please see our terms for use of feeds. Samsung's latest Series 9 Ultrabook is certainly a beautiful piece of engineering, but really, what's the fun in purchasing a new laptop with yesterday's internals? Fortunately, users won't need to make that compromise, as the company has now outed a refreshed version of the computer that's complete with Ivy Bridge internals. The move follows Samsung's recent reveal of the Series 7 Gamer laptop, but as you'd expect, components in the Series 9 are geared more toward efficiency than performance. At its heart, you'll find a dual-core 1.7GHz Core i5 3317U CPU (which has yet to be announced), Intel HD Graphics 4000 and the HM75 Express chipset. While its internal storage remains the same, with a 128GB SSD, its memory has received a pleasant bump up to 8GB. No word yet on pricing or availability, but for those who want to own the very latest, we invite you to stay tuned. 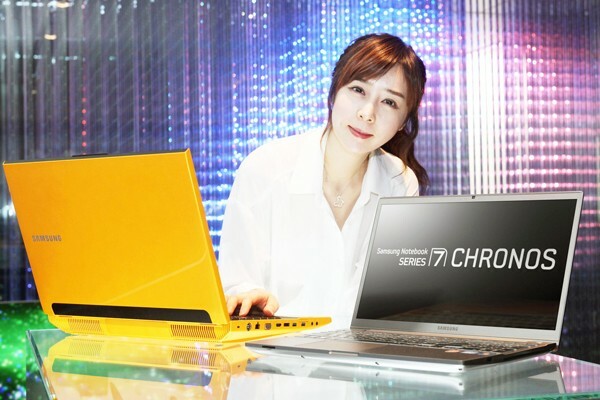 Samsung teases Series 9 Ivy Bridge Ultrabook, leaves availability in the ether originally appeared on Engadget on Wed, 02 May 2012 20:25:00 EDT. Please see our terms for use of feeds. 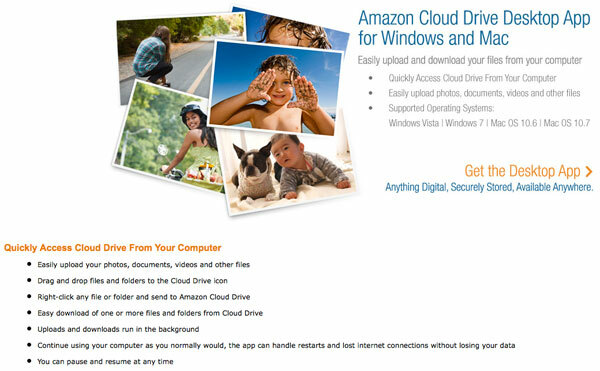 If you've been storing part of your digital library on Amazon's Cloud Drive, access to your goods just got easier. The outfit has released a desktop app for both Mac and Windows machines enabling uploads and downloads with minimal effort. For starters, you'll be able to drag and drop files via a Cloud Drive icon and you'll be a brief right-click away from sending any file or folder to the repository. Downloads from the cloud run in the background and can be paused / resumed whenever you darn well please. Dropped your connection in the heat of battle? No worries. The app manages restarts and connectivity hiccups without losing your wares. If you're already signed up, hit the source link below to fetch yours. Amazon outs Cloud Drive desktop app for Windows and Mac, allows easy access to your digital wares originally appeared on Engadget on Wed, 02 May 2012 12:11:00 EDT. Please see our terms for use of feeds. No surprise here, but T-Mobile has been prepping a low-end Android phone called the Prism for quite some time now, and it's finally time for the little guy to make its official debut. With a 3.5-inch HVGA display, 3.2MP fixed-focus camera and Android 2.3 (Gingerbread), it won't be the stuff dreams are made of. The CPU is also unspecified, which leads us to believe that T-Mo is leaving it out of the talking points for a reason -- yesterday's leak indicated that we can expect it to be 600MHz. That said, plenty of potential buyers wanting an inexpensive smartphone may be easily persuaded by its $20 price on contract (with a $50 mail-in rebate) or $150 without any sort of commitment. The Huawei-made Prism will make its first appearance at Best Buy on May 6th, followed by Walmart on the 9th and official retail channels on the 23rd. 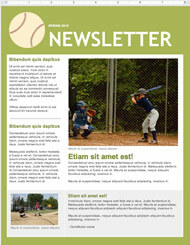 We have a press release awaiting you after the break, so take a peek if it interests you. T-Mobile officially adds Prism to its budget lineup on May 6th for $20 originally appeared on Engadget on Wed, 02 May 2012 12:44:00 EDT. Please see our terms for use of feeds. Fitting a truly quick solid-state drive into a small space isn't easy, and for that reason RunCore's new Mini DOM (Disk On Module) stands out from the crowd. It's billed as the first single-chip SSD to use a SATA interface (SATA II, to be exact), giving it that much more bandwidth than the pokey IDE and PATA DOMs of old while remaining under half the size of a regular mSATA drive. RunCore's own tests show it hitting about 113MB/s sequential reads and 47MB/s writes. Neither figure will knock the socks off even a mainstream budget SSD like Intel's SSD 330, but they're more than brisk enough for embedded gear. The drives can survive brutal conditions, too: an Industrial Grade trim level can survive temperatures as chilly as -40F and as scorching as 185F. So, the next time you pry open some military equipment and see one of these sitting inside, in three different formats and capacities from 8GB to 64GB, you'll know exactly what you're looking at. RunCore's Mini DOM packs single-chip, SATA-based SSD into tiny places originally appeared on Engadget on Wed, 02 May 2012 14:47:00 EDT. Please see our terms for use of feeds. Google Docs has lagged behind offline apps in the number of fonts and pre-made layouts to choose from, but that's just changed with a much larger catalog for both. More than 60 new templates and 450 fonts are now on tap to use in your presentations and reports. 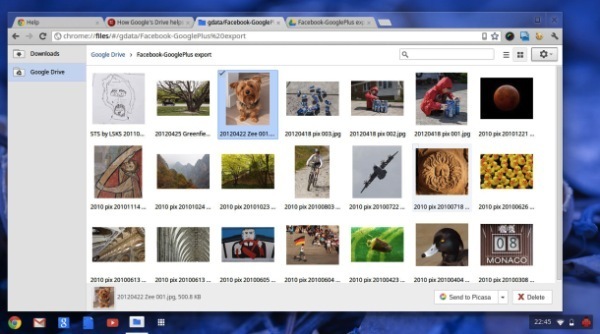 This comes on top of a handful of other recent improvements, such as Google Drive support, searching the Life Photo archive and boosts to accessibility and spreadsheet layouts. Apps Script gets both a Google Drive tie-in and new publishing control, too. Be forewarned: Comic Sans is one of the new font options, and it's clearly not an April Fools' gag. Google Docs adds 450 fonts and 60 templates, sadly includes Comic Sans originally appeared on Engadget on Wed, 02 May 2012 19:21:00 EDT. Please see our terms for use of feeds. If you've ever wondered what a Kinect with DSLR image resolution might be like... well, you'll have to wait. But for now, this is the next best thing: called RGBDToolkit, it's a project designed to layer HD video over Kinect's depth maps. And it's pretty neat. OK, so it's definitely not perfect yet, but what do you expect from a team of people strapping DSLRs to Kinects and waving them around? If you wish you could use your legacy projector with your iPad for educational or business purposes, then crack a smile. Kanex has released the ATV Pro, a HDMI-to-VGA adapter that will allow older gear to get access to AirPlay mirroring. 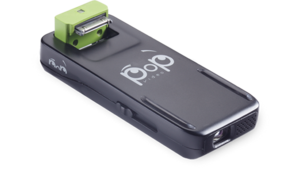 It's designed to get iPads into the classroom and even offers a 3.5mm audio-out port for stereo sound. Its available from today and will set you back $60. Kanex unveils ATV Pro, gives VGA projectors the power of AirPlay mirroring originally appeared on Engadget on Wed, 02 May 2012 01:50:00 EDT. Please see our terms for use of feeds. It may not be as wavy as the alloyed 15R from a couple of years back, but this new "special edition" Inspiron is packing a few goodies that are far more interesting than a set of sinuous patterns. 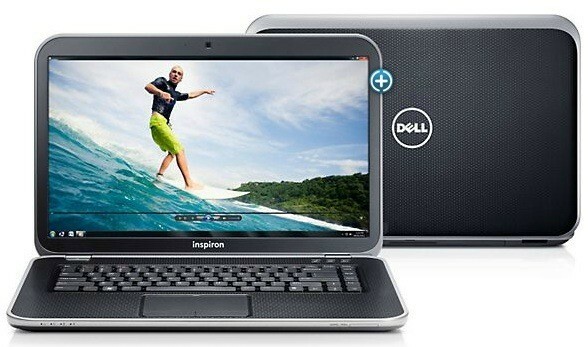 Thanks to a product page on Dell's Singapore website, we were able to spot one of the company's first Ivy Bridge machines, the Inspiron 15R. Per the listing, Dell's 15.6-inch laptop is sporting a hot-off-the-press Core i7-3612QM CPU, 6GB or 8GB of RAM (depending on configuration), AMD Radeon HD 7730M graphics and a 1TB, 5400RPM hard drive. Additionally, you'll be able to choose between two different displays: an HD WLED, 1366 x 768 or a 1920 x 1080, FHD True-Life. As of right now, the better-specced of the two models is carrying a hefty $1,749 price tag, while the lower-end 15R is $1,599. Those living in Singapore can hit up the source link below if you'd like to grab a piece of that fresh Ivy Bridge pie. Ivy Bridge-packing Inspiron 15R hiding in plain sight on Dell's Singapore site originally appeared on Engadget on Wed, 02 May 2012 04:24:00 EDT. Please see our terms for use of feeds. Vision Research Miro 120 footage hits the internet, looks amazing (video) originally appeared on Engadget on Wed, 02 May 2012 05:03:00 EDT. Please see our terms for use of feeds. 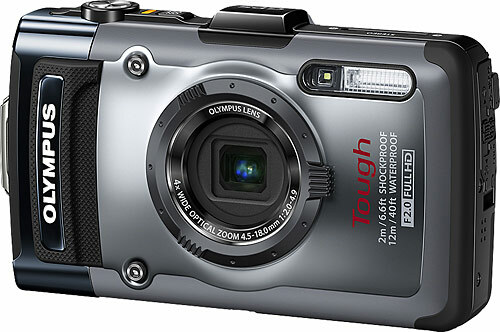 Looks like Olympus won't be waiting long to follow up on its 2012 Tough camera updates: Best Buy accidentally posted details of the TG-1 iHS Tough. Although it's since been taken down, the store listing showed that Olympus will be bringing a 3-inch, 610,000-pixel OLED display to the mix, making a preview of your scuba diving photos that much prettier. It shares the 12.3-megapixel CMOS sensor and 1080p movie making of the TG-820 iHS, with waterproofing now good for up to 40 feet. Olympus is, however, making a trade-off, where photogs get a shorter 4X optical zoom in return for a much wider f/2.0 aperture that will get those fish in focus. There's no word on when the TG-1 will ship, but Best Buy was showing a $400 price tag before the store took down its inadvertent sneak peek. Olympus TG-1 iHS Tough leaks out at Best Buy, brings OLED to the rugged camera party originally appeared on Engadget on Wed, 02 May 2012 05:16:00 EDT. Please see our terms for use of feeds. The mini-computer game has so far been dominated by upstarts such as FXI and Raspberry Pi, but a big name is getting ready to join the party, too. Intel first demoed its NUC (Next Unit of Computing) at PAX East in April, but details are just hitting the web now. One standout spec is the NUC's 10 x 10-cm (4 x 4-in) form factor, which places it between the Raspberry Pi and Mini-ITX boards in terms of size. Moreover, the NUC packs a Core i3 / Core i5 Sandy Bridge chip with last-gen Intel HD 3000 graphics, and sports Thunderbolt, HDMI and USB 3.0 sockets on the back. There's a heatsink and fan assembly on board, too, and the mini PCIe connectors leave the door open for added functionality. Because it runs an Intel Core i5 CPU instead of the ARM processors found in options such as the Cotton Candy and Raspberry Pi, the NUC promises to be a more powerful mini-desktop. But don't get too excited: Intel envisions it as a component in digital signage instead. 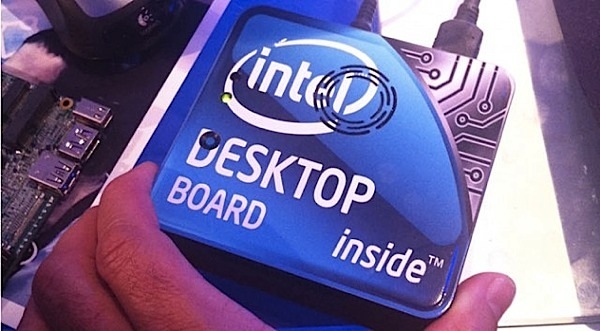 Look for Intel's mini-PC at a kiosk near you in the second half of 2012, when it's expected to drop. Intel enters mini-computer fray with Core i5-powered NUC originally appeared on Engadget on Tue, 01 May 2012 12:55:00 EDT. Please see our terms for use of feeds. If you don't have a sonorous v-something under the hood guzzling gas, do you still have a supercar? 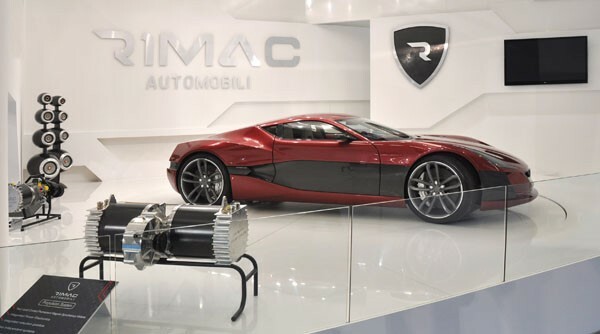 Judging by the nearly one million large needed to buy its Concept_One high performance EV, Rimac clearly thinks so. Since our last dalliance with the sinuous eco-powerhouse, the Croatian maker has announced that it's producing 88 units priced at $980K each -- with its carbon fibre body, 1088 HP, 190 mph top speed, and 2.8 second 0-62 mph time all still intact. Sure, there's no Lamborghini rumble, but at those speeds you'll be gone so quickly no one would appreciate it anyway. 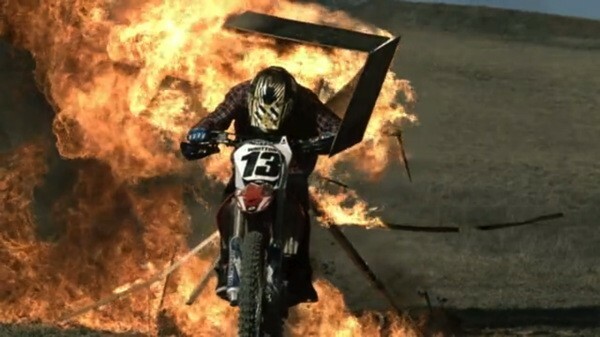 Watch it cruise sedately in the video after the break. Rimac Concept_One EV now a reality: cash in those stock options (video) originally appeared on Engadget on Tue, 01 May 2012 22:17:00 EDT. Please see our terms for use of feeds. Sometimes a picture is worth a thousand words. In this instance, it just leaves us wanting more. The image you see above is RIM's official dev unit for its just launched BlackBerry 10 platform. If it looks familiar, that's because you've seen it not too long ago when leaks of the much anticipated device began to hit the world wide rumor-mongering web. Waterloo's still keeping us in the dark as to the glorified guts this austere fella's packing, but it did confirm these alpha units will feature a jaw-dropping 4.2-inch, 1280 x 768 display that bests the 720p panels found on other similarly-sized handsets -- there's no word yet on if it's PenTile, though it likely doesn't matter much at that resolution. We've also learned the device sports 16GB internal storage and 1GB of RAM. No, this isn't your mother's BlackBerry and for good reason too, as the beleaguered mobile titan's got quite a bit of its continued prosperity riding on this QNX-based slab. Wondering where its QWERTY cousin is? We are too, but without any official announcements, you'll just have to stay tuned to see what fruits this week's BlackBerry World will bear. 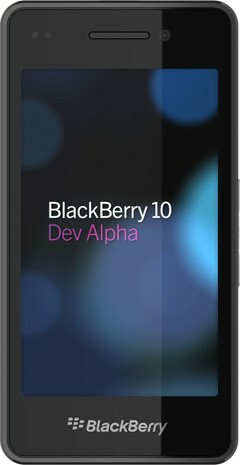 BlackBerry 10 dev alpha unit unveiled: 4.2-inch screen, 1280 x 768 resolution originally appeared on Engadget on Tue, 01 May 2012 09:27:00 EDT. Please see our terms for use of feeds. The problem with lasers is, they tend to generate just a single color or light.To get more than one hue requires actually combining more than one type of laser to produce red, green and blue. But researchers at Brown University have figured out a solution to creating small RGB lasers by using colloidal quantum dots, or CQDs. The idea of leveraging the properties of the thin film isn't new, but past attempts to use CQDs in semiconductor lasers have failed because the necessary energy tends to wind up as heat instead of light. The work around scientists found was to excite the various dot sizes with a laser then filter out original light source. Unfortuneately, the solution is far from practical for use in commercial products, but it does represent a milestone in the march towards a single-material multi-wavelength laser. For more details check out the source link. 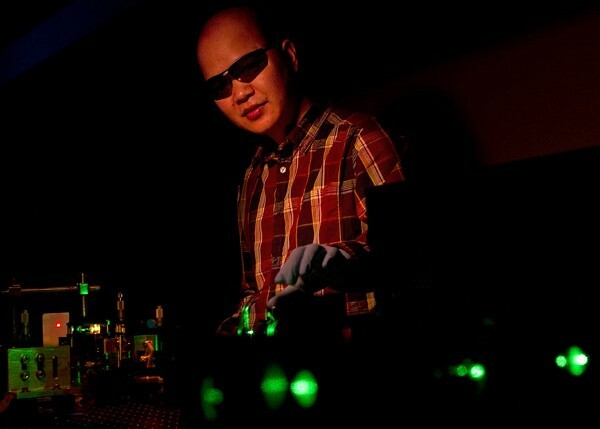 Researchers make an RGB laser with a regular laser and quantum dots originally appeared on Engadget on Tue, 01 May 2012 06:06:00 EDT. Please see our terms for use of feeds. Intel's bridge is a popular one and, while we don't know just what the toll to cross is, today the gatekeeper has a little extra change jingling in his pocket. Samsung is announcing that its 15-inch Series 7 Chronos laptops now offer Ivy Bridge processors, joining the 17-inch models that have already have made their way across. Thanks to a Samsung Canada leak last week, we knew the slightly more portable flavor wouldn't be far behind. NVIDIA graphics are onboard, joining the Core i7 processors and 1TB hard drives plus other pleasantries like backlit keyboards. No word on when these machines and their "uncompromised performance" will arrive at retail, but we hear getting over that bridge is the tricky part, so it shouldn't be long now. 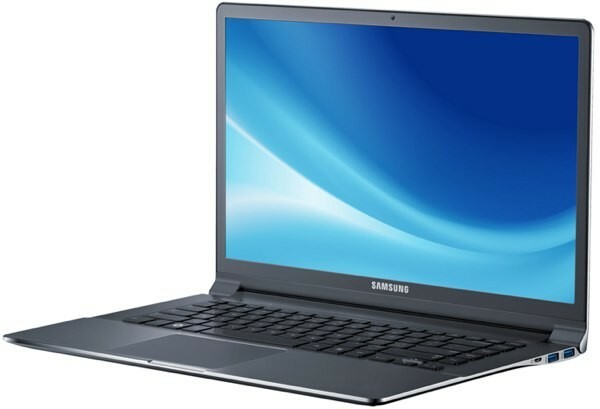 15-inch Samsung Series 7 laptops follow big brother across Intel's Ivy Bridge originally appeared on Engadget on Mon, 30 Apr 2012 07:41:00 EDT. Please see our terms for use of feeds. You knew it was gonna happen, but Google's cloud-based storage service has now been married to its cloud-based operating system, as Chrome OS users who receive updates via the dev-channel may now benefit from integration with Google Drive. Most notably, Drive will now appear as an additional folder within the file manager, although the implementation isn't without its quirks. For example, our peers at TechCrunch described the inability to make these files available for offline access. It goes without saying that dev-channel releases aren't for everyone, but if you enjoy living on the edge, then be sure to take a peep at what Google has in store for the inevitable mainstream release. Google Drive now offers a bumpy ride for Chrome OS dev-channel users originally appeared on Engadget on Fri, 27 Apr 2012 18:26:00 EDT. Please see our terms for use of feeds. 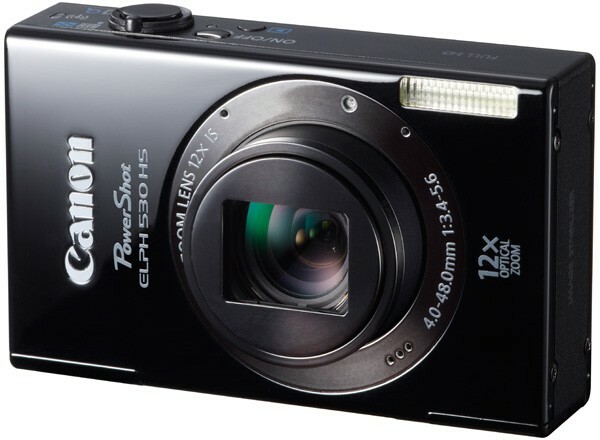 Canon reported its Q1 2012 earnings this week, and things certainly appear to have gone better than the last time we checked in when it replaced the company president. While revenue declined slightly, net profit reached 61.54 billion yen ($766 million), up 11 percent from a year ago. There's no executive moves to report, however on the earnings call executive VP and CFO Toshizo Tanaka noted a unit sales increase of 30 percent for SLR cameras including the new EOS 5D Mark III as well as the cheaper T3i, Mark II and 60D models, combined with strong sales for WiFi-connected point-and-shoots. As far as new products, while its new cinema cameras got a glancing mention the plan this year includes compact cameras "offering the image qualities that approaches SLR cameras", with improved design and network connectivity features. All the numbers and earnings call talk are in black and white at the links below, although we prefer to spend our time speculating about the future of mirrorless cameras. Canon reports slightly higher profits in Q1, teases new compact came! ras on t he way originally appeared on Engadget on Sat, 28 Apr 2012 05:11:00 EDT. Please see our terms for use of feeds. 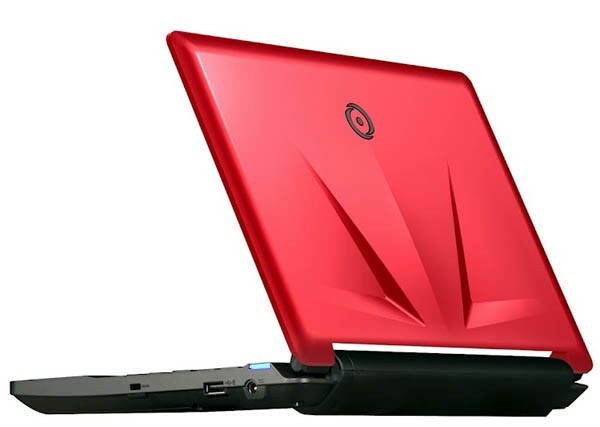 Origin PC joins the 11-inch, rebadged gaming laptop party, outs the EON 11-S originally appeared on Engadget on Sun, 29 Apr 2012 00:01:00 EDT. Please see our terms for use of feeds.